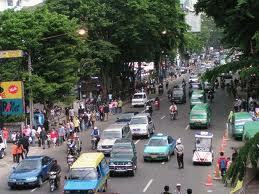 Bandung recently visited by many tourists, especially domestic tourists from Jakarta and other big cities in Indonesia. If we take a stroll on the weekends, Friday, Saturday and Sunday will definitely find a breakdown of the streets in Bandung. Especially in areas that have shopping malls and food culinary alias. For example Cihampelas roads, streets Riau, road Sukajadi, Setiabudhi road all the way to Lembang. Every Saturday night has been ascertained by several hotels packed with visitors. Good restaurants with international standards, as well as the nuances of rural and stall-stall food stalls open as in some landscaping, must be filled by the visitors. They come not only just to enjoy the freshness of the city of Bandung at night, but tourists as well as culinary and tourist shopping. Indeed the city of Bandung has a special attraction when compared with other cities in Java. In addition to beautiful flowers and lush like a widow who always primp at night, is very attractive to tourists. But despite having a lot of tourism potential that has not been excavated, the tourists coming into the city of Bandung tend to do shopping and culinary activities. It is undeniable is for natural attractions, the city of Bandung do not have it, but around it like Ciater, Ciwidey, Garut, Pangalengan and so forth can be reached from the city of Bandung is easier, because of the availability of transportation and road facilities are sufficient. The advantages of the city of Bandung itself is a sufficient amount of accommodation compared with other regions around it that has many natural tourist attraction. Bandung is now better known as shopping and culinary attractions, but the beauty of the historic buildings can actually be something more to attract tourists both domestic and foreign. Management of promotional activities, especially not maximized to the existence of historic buildings with all this kemistikannya a tourist attraction on this one to be reduced. Yet another potentially one that could attract tourists to come to Bandung City is a mystical tour, or who is more famous abroad with spooky tourism. Tourism potential this could be one other alternative for tourists, perhaps the proper segmentation is of special interest tourists. This tourism potential of historic buildings in addition to having a wonderful attraction is seen also have something else, namely the mystical atmosphere of these historic buildings. We can see that other world phenomena through a mystical tour that could become a new tourist attraction. Bandung city does have a lot of haunted places to support this tourism prospects. For example, the Postal Museum is located at the intersection of Jalan RE Martadinata Bandung Geology Museum is located at Jalan Diponegoro, the Statue of Father who was in the Garden of Maluku, Goa Goa Japan and the Netherlands in Dago, Gedung Sate, KAA Museum, Museum Mandalawangsit, school buildings 3 and SMA SMA Negeri 5 Bandung, rubber trees in SMA Negeri 2 Bandung, Villa Isola UPI Bandung on campus and so forth. All of them has its own mystical story that gives a sense of wanting to know more for people who are interested in knowledge about the supernatural. Ambulance contained in the road Bahureksa-ever appointed to the big screen for public consumption about the mysteries contained in the Ambulance. Even home with Dutch architecture in the street Dayang Sumbi, never enter into terangker ten sites in the world. According to the story the old people in this house a massacre of all family members who live in the house, and until now the garage door can not be closed by anyone. 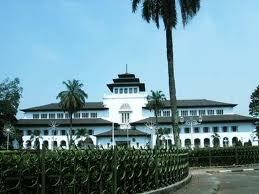 There were even stories of parents who say that the tower and building Gedung Sate Isola UPI he was haunted like that. Viewing the phenomenon kemistikan contained in these antique buildings, is not impossible that this could be used as a destination or a tourist attraction in the future. Until now it has not already been talking about it. Both officials who deal with tourism and the city of Bandung in West Java alone. Not impossible prospect of supernatural or mystical nature tourism may be something new for the tourists visiting the city of Bandung. It required careful planning and preparation. Some friends who had visited Britain and Germany argued that there are old castles (castle), which he said many inhabited ghost, but the behavior of the tourists visited. 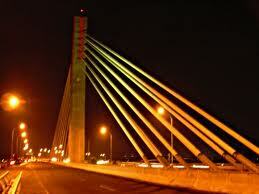 They want to see on keangkerannya. Even among those who dare to staying, and pay. In fact there is a successful capture ghosts or creatures in the form of fine photo and video. Perhaps this is a lesson for us, that many antique buildings which until now considered haunted because it is inhabited by a ghost or subtle creatures, seems to be a new kind of tourist attraction called the Mystical Tours or Ghost Tour. Not just aired on Uka-UKA events on television some time ago.